This minimalistic, clean and clutter-free printable 2019 calendar will complement your planner, become a part of your desk or office wall and be a great showcase of upcoming events. Simple & gender neutral design ensures this calendar will look great and stay useful anywhere. 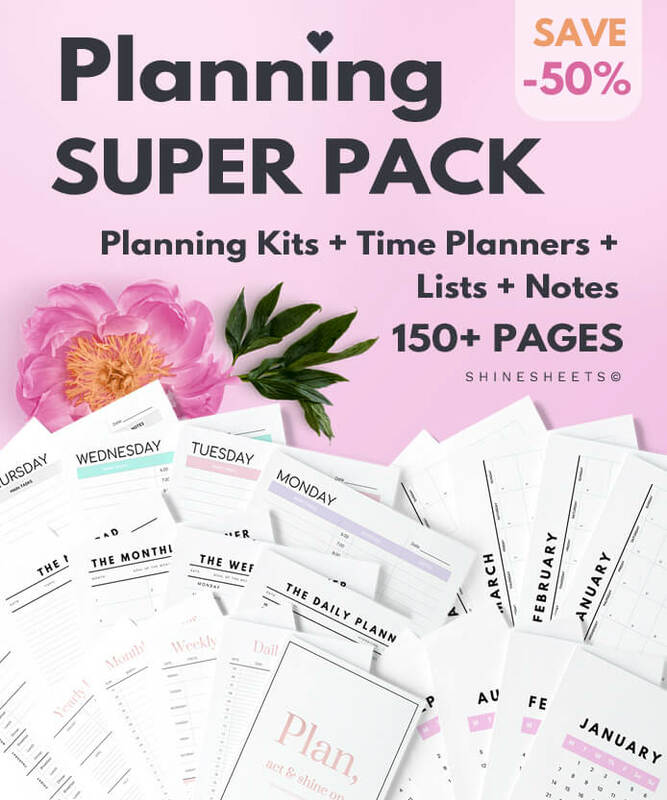 Perfectly complements other printable planners & trackers by ShineSheets. Want to make sure you don’t miss any important dates, birthdays or events? You need a calendar in your planner. ○ Can be used as a planner insert, hanged on a wall, fridge, nursery & any other place at your home or office. ○ Is lightweight – no unnecessary or distracting design details! IT’S EASY, FAST & SMART! Instantly download chosen planners & journals right after your purchase. Simply print at home, at your local print shop or online printing services. Use your planners, journals & trackers to be more organized and happier person. When you’re out of pages, simply print out more and you’re all set again! Checkout comfortably and quickly with Paypal or Credit Card payment. All information you add is encypted with a strong SSL Certificate. Download your PDF files right away and start using your tools in minutes. Minimalistic design. Clean, decluttered, zero overwhelm layout. 2 Page sizes included: A4 and US LETTER. A lifetime supply. Buy once, print more whenever needed. Minimal branding. We’re keeping it clean and only add a small logo on the bottom of the page. No annoying unnecessary links or text. High printing quality. Great colors, clear texts, and lines. Binder friendly. You will have enough margin for hole punching if you want to use this in a ring binder. Printer friendly. All ShineSheets are designed in a way that helps you save printer paint. Easy and comfortable to use. Write comfortably whether you’re a left or right hander. This calendar looks really darn great and it took me less than 10 minutes to buy, print and fill the dates, so cool!! SAVE UP TO -70% WITH SUPER PACKS! 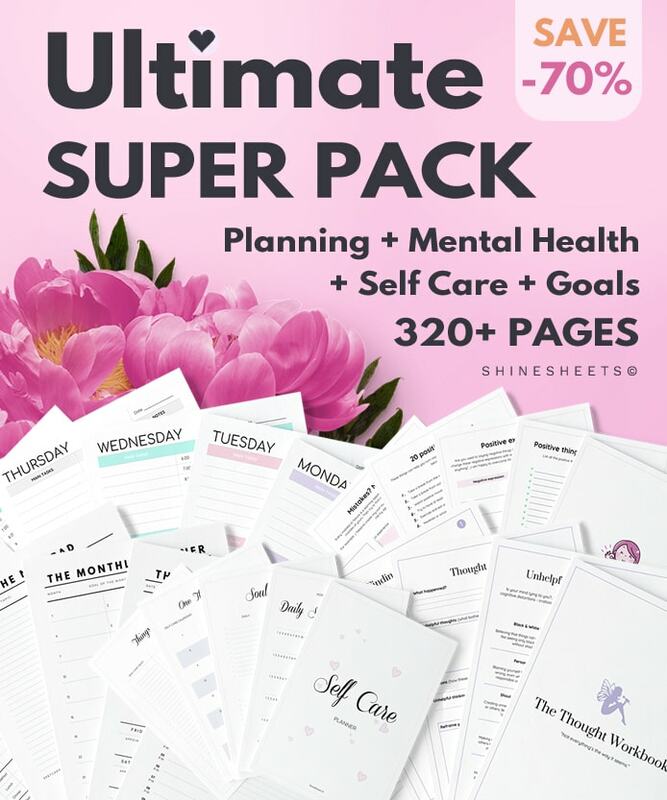 The Super Packs bundle up several (or even all!) 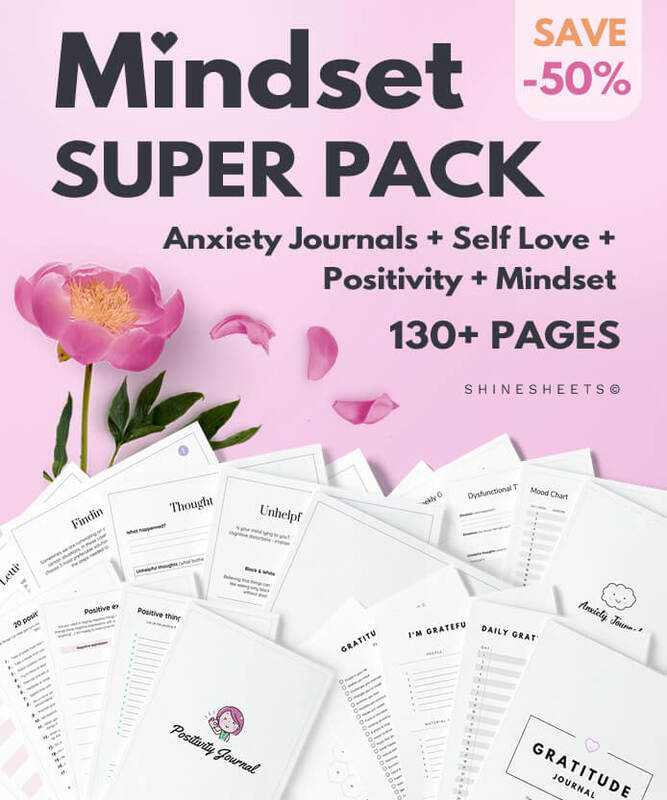 ShineSheets products into big discounted packs that you can choose and GET MORE FOR LESS when shopping for your planner, self development or mental health tools. 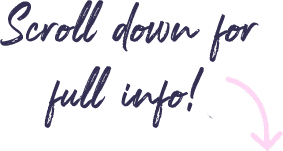 ♥ I hope you enjoy this tool as much as I do!